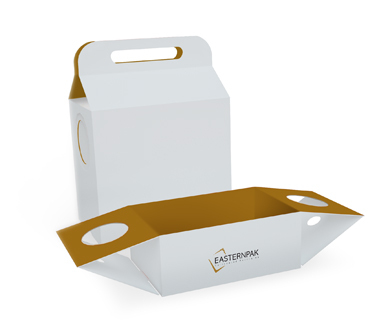 Tray Lunch Box - EASTERNPAK LTD.
Our tray lunch boxes are designed for takeaway and deliveries to optimize your customers’ on-the-go experience. 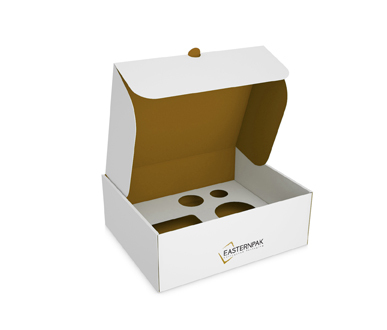 They are a smart carry solution with an integrated handle that can be turned into a tray to fit fries, sandwiches or burgers, sauces, coleslaw and/or a drink. When removing the carrier from the tray, the flaps on each side of the tray are locked at the bottom, allowing condiments and/or beverages to perfectly fit into the two secured slots. Made from solid board, our sturdy structure complies with international hygiene standards and ensures optimum product protection. The approved food grade paper combination of the packaging prevents grease stains, retains the heat of hot food and absorbs moisture. 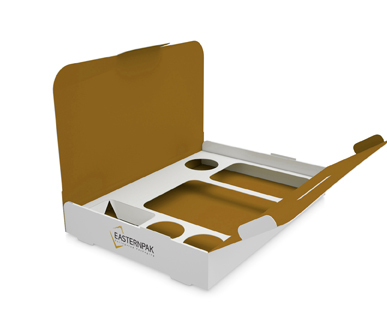 The tray lunch boxes are fully customizable, with a variety of different sizes, printing options and finishing techniques available to meet your company’s requirements and showcase its branding. 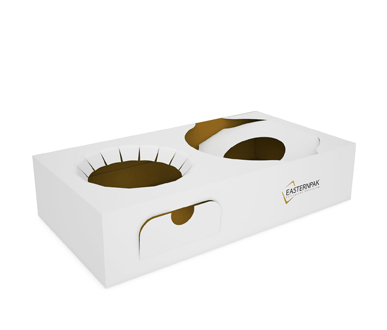 Made from 100% recyclable materials, these tray lunch boxes are delivered flat so that they reach the customer in perfect condition, providing additional stacking space and maximum shipping efficiency.